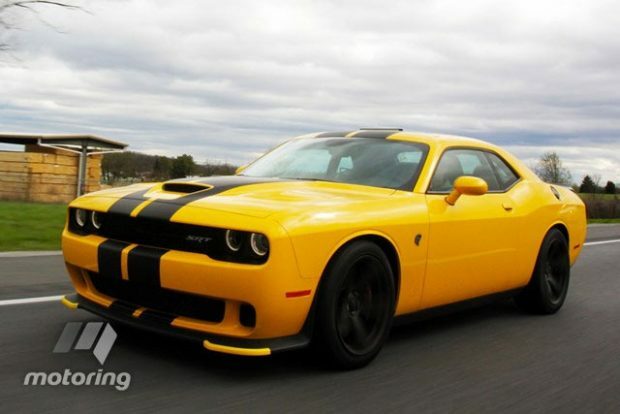 With 707 Hp at your disposal in the Dodge Challenger Hellcat, you are definitely going to experience the ride of your life, but not many people will get the chance to test drive this incredible beast. The guys over at motoring.com.au have recently test driven the Hellcat and give you a fine writeup and video of their experience. To kick off, the review sets the tone as you would expect fom a 707Hp machine, ‘It’s a bit like your first kiss. Flooring the Dodge Challenger Hellcat and accelerating to the V8’s redline is one of those moments you’ll remember – vividly, euphorically – for a lifetime.’ This is especially a good start considering that the 707hp has to propel the Challenger’s 2017kg mass forward. Gone are the days of muscle cars only being about displacement. They are every bit the performance machine these days as the review documents. All the technical specifications are gone into across the review, with positives for even the interior apart from a few odds and ends, but the main takeaway here is the driving sensation which as you would expect is top-notch for a vehicle like this one. If you want a good overview of what’s in store if you’re a potential Hellcat buyer, check out this review. Next Story → Do Muscle Cars Still Exist? They Are Alive and Well.